There have been many changes to the fabric of the church over the centuries, most recently in 1883, described in a booklet by Geoffrey Tyack entitled 'Fawley, Buckinghamshire, a short history of the Church and Parish'. 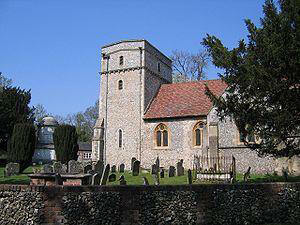 A new chancel was added during the time of the Black Death, now only remaining as a bit of flint walling. 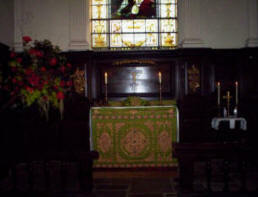 The nave was remodelled and the chancel rebuilt in the 18th century. Alterations made in the last century have restored most of the 18th century character of the chancel while the nave remains largely late-Victorian. 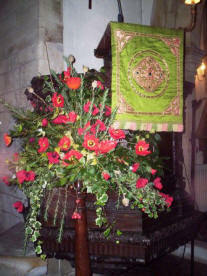 The chancel is reached via a round, classically proportioned, arch. The nave has many interesting features. The elaborate carve pulpit with cherubs is reputedly by Grinley Gibbons, and many of the fittings are again from Canons. 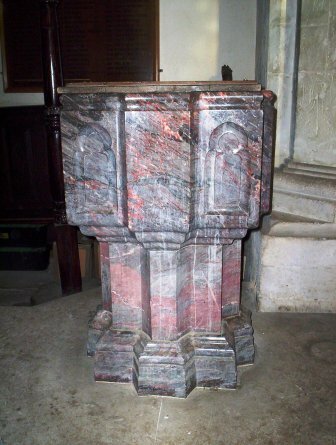 The marble font dates from 1884, and there are stained glass windows by Clayton and Bell in the nave and transept. The stained glass in the west window commemorates a naval lieutenant killed in action in Egypt in 1884, the son of one of the incumbents. Paired windows on either side of the nave are dedicated to St Mary and St Elizabeth, and St Catherine and St Agnes to the south and Matthew, Mark, Luke and John to the north. In the north west corner of the churchyard is a free-standing mausoleum for the Freeman family - John Freeman remodelled much of the church in 1748. Loosely modelled on the tomb of Caecilia Metella in Rome, and designed in rusticated Portland Stone, this plain design has an octagonal base and a domed superstructure and has been recently restored. 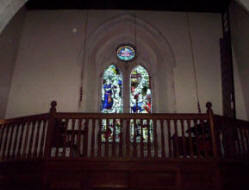 The Freeman family had a pew in the tower above the west door. this was later turned into a ringers' gallery. The church has been in existence for at least 800 years. Originally a simple chancel and nave, the massive western tower was added in the 13th century and heightened in the 16th century to accommodate the bells which have recently been restored. 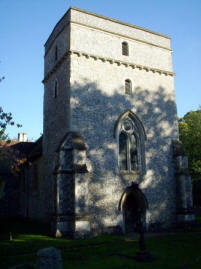 This has buttresses at the angles, a corbel table at the top and small windows. Inside the church has a classical appearance. The chancel has an arched east window depicting the Crucifixion, dated about 1878, framed by pilasters giving it a Venetian appearance. The walls are painted and panelled, with the details of the cornice picked out in blue and gold. Much of the eighteenth century woodwork came from Canons, near Edgware, the Duke of Chandos's mansion. On the west wall of the south transept is an impressive marble memorial to Sir James Whitelocke who bought the manor of Fawley in 1616. Recumbent effigies of Sir James and his wife lie beneath an open pediment supported by Tuscan columns. He is in his judge's robes while she lies a little higher against a marble background. There are figures holding scrolls representing the redemption of man after the Flood, and the Last Judgement. An elaborate coat of arms surmounts the whole. 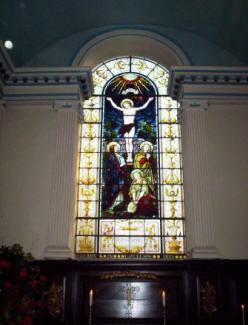 In 1972 Miss Whitelocke-Lloyd a descendant of the Whitelockes made a gift of two windows of 18th century armorial glass placed in the north and south windows of the tower. An episcopal visitation of 1637 suggested the interior should be painted with scriptural sentences. Two of these survive on the inside of the tower arch. At the entrance to the churchyard the grecian-style granite Mackenzie Mausoleum commemorates William Daniel Mackenzie, Lord of the Manor from the 1850s, who was responsible for the 19th century internal remodelling and who purchased the Fawley estate from the Freeman family in the nineteenth-century. Both the Freemans and the Mackenzies owned Fawley Court, a 17th century mansion on the River Thames owned by The Marian Fathers but recently sold. In the vestry there is a modern stained glass window by John Piper. This depicts the tree of life and is a memorial to Anthony Hartley. 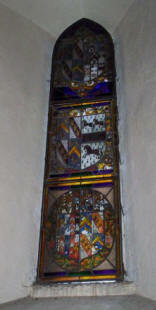 John Piper also restored the 18th century armorial glass in the north and south windows of the tower. He also created stained glass windows in Coventry Cathedral and the Memorial Chapel in Windsor and was collaborator with John Betjeman on various county guides. 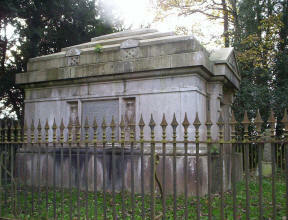 He lies buried in Fawley churchyard.